As your Ottawa Wedding Officiant, my promise to you is to craft the ceremony that you want so that when, years from now, you look back on this day, you re-experience the magic and wonderment again. The only limit is your imagination. As your Wedding Officiant, I have the rare privilege of being a part of your most important day, and I take this responsibility to heart to deliver you the wedding service that you have been dreaming of. 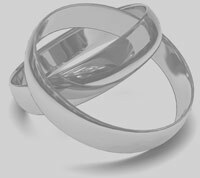 As a professional wedding officiant, I believe that since every couple is unique, every ceremony should be too. Whether your wedding will be a big event, an intimate gathering of friends and family or anything in between, I am the Ottawa Wedding Officiant that can deliver you the most memorable ceremony made to measure.